IT HAPPENED at the end of recess, after the bell had rung and all the other junior high kids had gone inside. After beating him in a schoolyard basketball game of "H.O.R.S.E. ", my beefy, mop-topped classmate, whom I'll call Neil, hurled basketballs at my chest while his friend held my arms back so that I couldn't protect my body. "Chink!" Neil yelled angrily. I writhed and screamed until he knocked the wind out of me and I could no longer breathe. Then I felt my body thrown to the blacktop and heard the sound of feet running away. In that moment, the self-hatred for my Chinese identity felt like it might overtake me. In that moment, the self-hatred for my Chinese identity felt like it might overtake me. Then something remarkable happened. 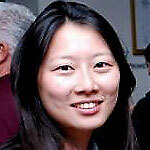 I started attending youth group at a local Chinese immigrant church. Though I grew up nonreligious, I quickly found a place of belonging among peers who, like me, constantly shifted between their Chinese homes and white suburban schools. Their praise songs became my praise songs, their prayers inspired my own. I studied the Bible and fell in love with Jesus, moved by how He subverted the status quo by lifting the lowly to high places, by healing the broken, and by calling His people to serve the least of these. As I read Jesus' words, I felt faith spring up within me, its waters a healing salve. Before long, I was a Christian, getting baptized on the church stage, leading Bible studies, and becoming a leader in my college Christian fellowship. When I think back to that time in my life, I am amazed at how my relationship with church quickly came undone, and how a world that had welcomed me as a beloved could treat me like an outsider once I began vocally supporting the LGBTQ community. Mine is a story that is told in countless statistics and studies: I stopped going to church in part because I couldn't square my faith with the anti-queer teachings I encountered at every turn. The church of my youth told me that I was unconditionally loved and radically included. But in adulthood, as I hopped from church to church year after year, I learned that gender and sexual minorities did not belong. The church of my youth told me that I was unconditionally loved and radically included... but gender and sexual minorities did not belong. This was true for the dozens of churches I passed through, no matter the denomination or style. I couldn't, in good conscience, stay where my friends weren't welcome. So I left. I later returned to the evangelical world as a journalist when I began to notice a shift among young evangelicals. Many had lost interest in the culture wars and were increasingly LGBTQ-friendly. If the 1990s represented an era when vilifying the queer community galvanized evangelicals, then these past several years stand for a period when that very tactic has divided the church and alienated a generation. Out of this new era, three distinct responses are emerging: one, a growing pro-LGBTQ faction; two, conservatives fighting the culture change; and three, those caught in the middle parsing through mixed feelings, according to Jeremy Thomas, an Idaho State University sociology professor who has studied the evolution of evangelical beliefs about homosexuality since the 1960s. I wanted to address all three groups, and I figured that the best way to do that was to chronicle the stories of the faithful LGBTQ Christians in my book, "Rescuing Jesus". For the growing pro-LGBTQ faction, I wanted to offer up stories of hope that would inspire them to live their full selves. For the other two groups, I wanted to introduce them to committed Christians who happened to be queer, to unpack the impact of anti-queer theology on their lives, and to let their faith and generous spirit be a witness to us all. This book held many lessons for myself as well. 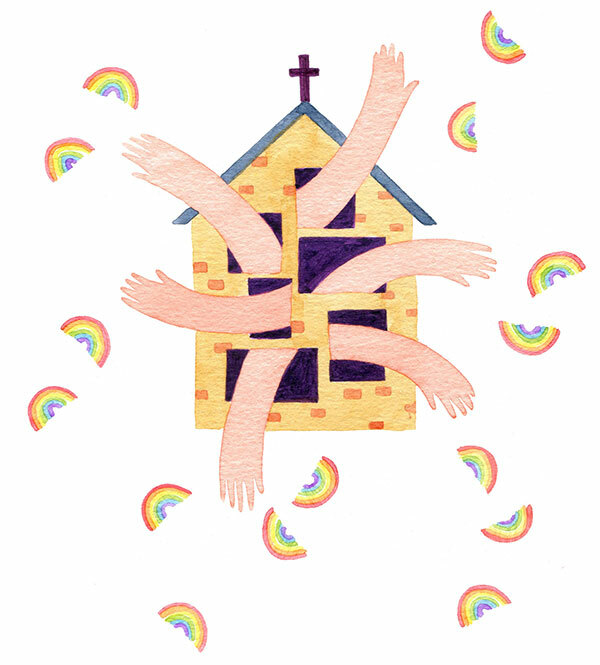 When I began reporting on queer evangelicals, I was struggling with my own Christianity. I cherished my faith, but felt spiritually homeless. I couldn't shake the comments that my close Christian friends said to me when I came out as an ally. Many offered to pray for me through my "confusion" about God's design for sexuality. And one friend asked what I suspected many were wondering: Do you even qualify as a Christian anymore? I began to wonder if I needed that label; it's something I slipped on and off over the years. With time, my faith became a vagrant thing, which brought on feelings of liberation and loss. Then I met queer evangelicals who spoke the language of my faith and reminded me of all the reasons I became a Christian in the first place. I met queer evangelicals who spoke the language of my faith and reminded me of all the reasons I became a Christian in the first place. One night in May 2013, I sat in a cramped room with more than a dozen LGBTQ students who attended Biola University, an evangelical college that prohibits "homosexual behavior". These students, who at the time called themselves the Biola Queer Underground (BQU), had been secretly meeting for over a year to support one another. When the group first launched, members trickled in slowly, each sharing stories of their isolation and shame. Most had at least contemplated ending their lives. One had attempted suicide by drinking bleach. Most had at least contemplated ending their lives. One had attempted suicide by drinking bleach. Over that span of time, they had found healing together. I sat with them in a narrow room, the dozen or so of them in a circle, looking into each other's eyes hopefully. One by one, they shared about journeys from suicidal thoughts and depression, to resilience and joy. Couples who had found each other through the group held hands. Those who cried got bear hugs. Those who shared victory stories were met with shouts of praise. And when they closed the meeting, the last of the year, this cobbled-together group of multi-ethnic, LGBTQ, and ally Christians joined hands and prayed through grateful, abundant tears. In that moment, I saw an image of my younger self — battered and breathless on the asphalt of my junior high basketball court — then scooped up by Christians who offered the promise of healing and belonging. That was the gospel that brought me to the faith, and that was the gospel the BQU had shown me that night. Those queer and ally evangelical college kids embodied the very teachings of Jesus that compelled me to call myself a Christian back in my youth. Their witness would play a part in my own eventual decision to reclaim the Christian label as my own. Those queer and ally evangelical college kids embodied the very teachings of Jesus that compelled me to call myself a Christian back in my youth. How did they accomplish what the churches of my adult years failed to do? By subverting the status quo, lifting the lowly to high places, healing the broken, and serving the least of these. In other words: by living out the gospel. INH: Embracing the queer community seems to run counterintuitive to how some people read and interpret the Bible — how would you respond to them? DEBORAH: Many claim that a single "orthodox" theology exists in Christianity, when in fact throughout history and across cultures, people have interpreted the Bible through the lens of their particular context and personal experience. In America, those who have shaped evangelicalism have long been straight, white, cis-gendered men who see the world in a particular way, and have an interest in maintaining the status quo because it benefits them and keeps them in power. They've used that power to shape theology and policies that routinely exclude people of color, women, and queer people. INH: What does that mean for our theology then? DEBORAH: First, we need to unlearn the idea that theology defined by white men is superior or complete. Then we need to realize that theologies done from the margins of society help us see God more fully. From there, we need to lift up people from other communities, correct the power imbalance, and allow these marginalized theologies to radically transform the church. My mind turns to 1 Corinthians 12, when Paul describes the body of Christ as made up of many parts. Think about that metaphor: The body is a diverse organism and it needs all of its parts present and healthy in order to function and thrive. The body can't be one part — if it's just an eye, it can't hear or touch or run. Yet for generations, straight white men have worked to systematically sever vital body parts from the community, or ask those parts to abandon their essential characteristics in order to gain acceptance. I experienced this as a Chinese American Christian entering a mostly white Christian space. My white friends bristled when I talked about how my ethnicity shaped my perspective and urged me not to make it "an idol". I felt erased. If we reduce the body of Christ to just one body part and neglect every other part, the body suffers and dies. By asking minority groups to conform to the dominant culture, we're cutting off the unique gifts they offer to the community. But we can prosper if we care for the full body of Christ; we must ask ourselves, how do we heal and nourish the body of Christ — every part, especially the parts we've hurt — so that the whole Church can thrive? INH: Can you give us some examples of how the body of Christ needs healing? DEBORAH: In "Rescuing Jesus", I write about the Biola Queer Underground, a group of LGBTQ students meeting secretly at a conservative, Christian college that prohibits queer expression. During the first several gatherings, the leaders realized that every member shared a common tragic experience: They had all contemplated suicide. Every single one of them. One student tried drinking bleach because based on what he had heard from church, he believed he didn't deserve to live. For another, anti-queer theology triggered her anxiety disorder — panic attacks, shortness of breath, racing heartbeat, and a powerful urge to vomit. She could barely function. I interviewed queer Christians across the country and the anecdotal evidence of the psychological trauma caused by non-affirming communities horrified me. Then I looked at volumes of studies that covered huge sample sizes across whole communities, states, and the country. And all of the studies backed up the anecdotal evidence I found: Anti-queer environments cause psychological harm. Our minds and bodies are intertwined; psychological issues manifest themselves in physical ways. The suffering spreads to many parts of a person's life. If Christians continue to defend anti-queer theology at the expense of queer health — and many times, at the expense of queer lives — then they must question the sincerity of their love and the sincerity of their belief that the whole body of Christ matters equally. 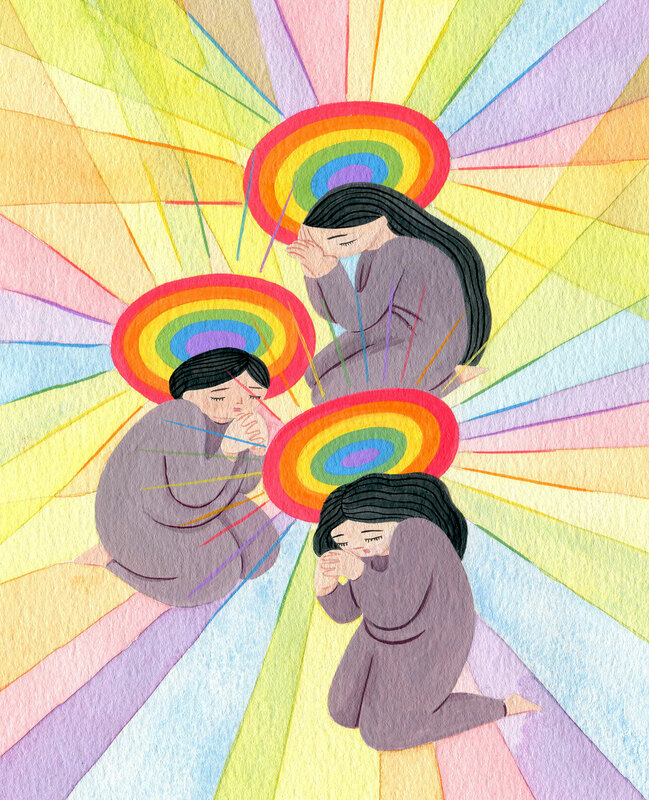 In order for true healing to take place, non-affirming Christians need to honestly confront the epidemic of psychological and physical damage their theology has caused and fling open their hearts, minds, and church doors to their queer siblings who have so much to offer the church. INH: How do you suggest churches engage the topic of sexuality, particularly queer sexuality, in their congregations? DEBORAH: I would encourage churches to learn more about the lives and experiences of queer Christians. Set aside your assumptions. Read their books and blogs, follow their Twitter accounts, learn about their history. Read and listen with an open heart. Also, set aside the need to comment for a while — just linger in their stories and try to understand what these other human beings have experienced and how this informs their faith. In addition to that, read their theology. There are a lot of LGBTQ (and straight) theologians, leaders, and pastors who are responding to the legacy of harmful theology and offering a rigorous affirming theology. A good place to start is Matthew Vines' "God and the Gay Christian" and David Gushee's "Changing Our Mind". From there, I recommend connecting with other churches who have engaged this topic so you can learn from their journeys. If you're having trouble finding these communities, reach out to The Reformation Project, Nomad Partnerships, Gay Christian Network, EastLake Community Church, or me; these are all folks tapped into a wide network of Christian communities active in discussing this subject. INH: Can you tell us about your book, "Rescuing Jesus", and how you're hoping that people will engage with it? DEBORAH:Yeah, I really want people to read the book in community and work toward developing concrete strategies for pursuing authentic social justice and practicing radical inclusion. And I say "developing concrete strategies" because I feel like in book clubs, we often consume people's stories, have this emotional experience, and then move on — we don't change anything. I don't want "Rescuing Jesus" to be an act of consumption. The people in the book poured their hearts out to my readers and shared some of the most painful and transformative experiences of their lives. I don't want people to consume these stories, feel bad about what Lisa or Will or Tasha or Jennifer (the people featured in the book) went through, and then move on with their lives. I want them to read these stories and then say, "OK, who's the Lisa in our community, who's the Jennifer, who's the Will, who's the Tasha, who are the marginalized in our community? How do we listen to them? How do we give power to them? How do we let their stories shape the direction of the church?" I think that's a lot harder than reading a book. This year, I'm leading One Book, One Church, a national, inter-church book club with over 800 participants who are doing just this. I've been so moved by the work they are doing to make their communities more just and inclusive. Amazing stuff is happening and anyone can join at anytime. INH: What is the hope that keeps you in the Christian community? DEBORAH: What keeps me hopeful are the people I interviewed in my book: the people of color, women, and queers who have been historically marginalized and have not lost hope. They've been told that they don't belong in the church, or that they need to leave a big part of their identity at the door if they want to be included in the church — and yet they still show up. They continue to assert their full identity and their full humanity, and they continue to love the very people who rejected them. To me, that lived-out gospel in marginalized people's lives is what gives me hope for the future. They are the future of the church. If they lead, the church will not only survive, it will thrive. This story originally appeared as a blog post on October 20, 2015 at believeoutloud.com. 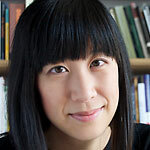 You can find Deborah’s book “Rescuing Jesus: How People of Color, Women, and Queer Christians are Reclaiming Evangelicalism” and information on One Book, One Church at: deborahjianlee.com. DEBORAH JIAN LEE is an award-winning journalist, radio producer and author of “Rescuing Jesus: How People of Color, Women and Queer Christians are Reclaiming Evangelicalism”. She has worked as a staff reporter for the Associated Press, taught journalism at Columbia University in New York, and written for Foreign Policy, Time, Slate, The Atlantic, Reuters, WBEZ and WNYC, and many others. She lives in Chicago.